An alternate space for making. A dedicated situation for dancing. A shared space for practice. A field for discovery and cross-pollination. There is no audience. Everyone is in it. A democratic field of diggers with mutual vulnerability. All participants constitute the Excavations Site, whether actively moving, sleeping, reading, writing. Movers, Poets, Thinkers, Sleepers, Doers and Dreamers from all walks of life are welcome. Free entrance. DJ and refreshments will be provided. There will be a 15 minute introduction. 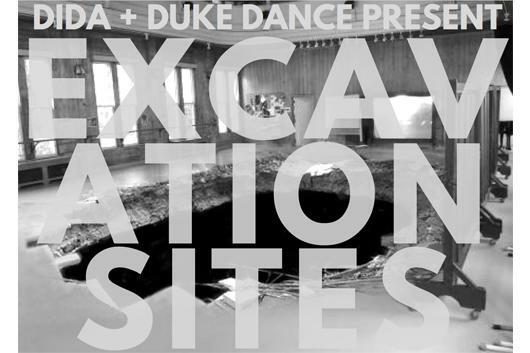 Excavation Sites is a sustainable movement and performance practice developed by renowned choreographer Michael Kliën to reveal and expand embodied knowledge. DIDA is partnering with Duke to present this first installment in Durham. All are welcome to participate.